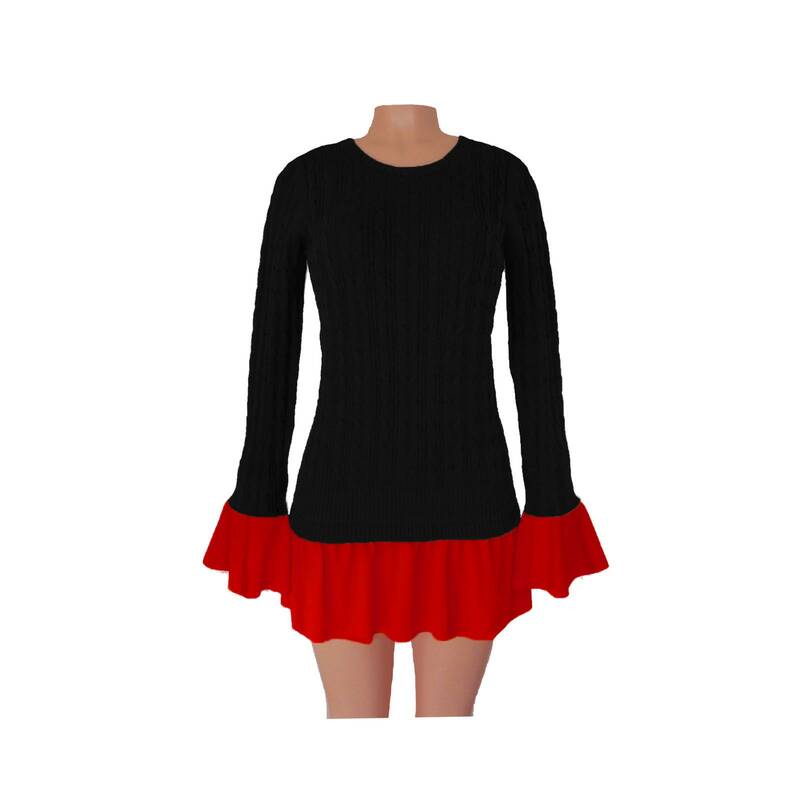 Black Cable Knit sweater with Red sleeve and bottom edge ruffles. Looks great with leggings, jeggings, jeans or legs! 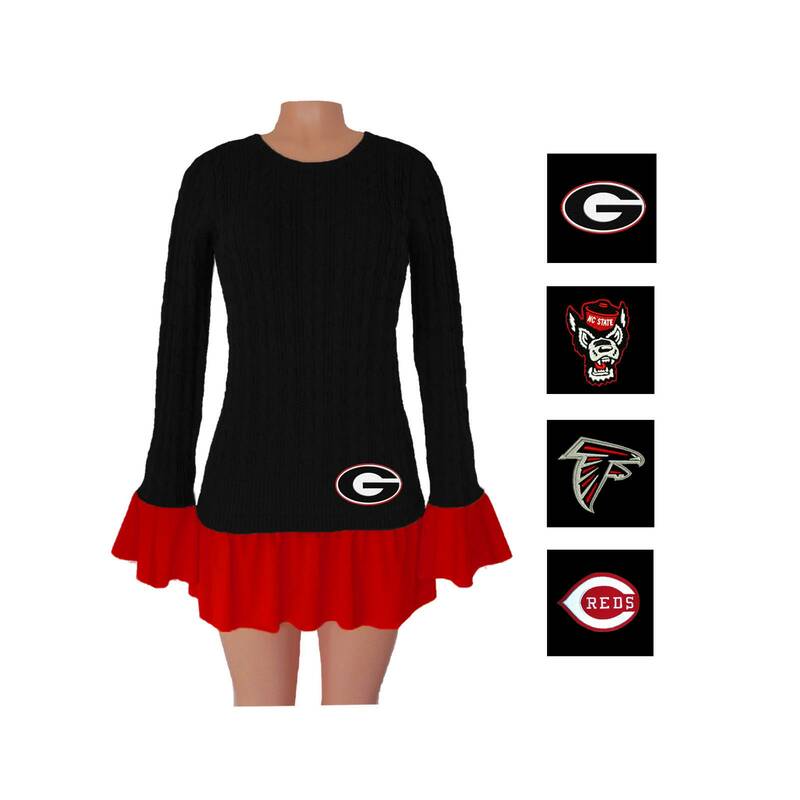 Sweater is medium-heavy weight, perfect for cool game days. Available with embroidered team emblem ($8 extra). Looking for a different team? Send a request. Cotton/nylon. Sizes: XS, S, M, L, 1X, 2X. $48.99 (+$5 for team emblem).